Dubai: His Highness Shaikh Mohammad Bin Rashid Al Maktoum, Vice President and Prime Minister of the UAE and Ruler of Dubai, has approved the new strategy for Building Permit Procedures Development in Dubai. The strategy will ensure speeding up the process of acquiring building permits from concerned government entities to assist investors in the real estate sector. The new strategy, set-up by Dubai’s Committee for Building Permit Procedures Development, aims to enhance Dubai’s prominent positioning as a city where the active building and construction sector plays an important role as key component of the economic development. The strategy is built upon three pillars, first developing and streamlining building permit procedures, then unifying systems and requirement, while the last one provides a ‘one stop shop’ where all the procedures and building permits processes in Dubai can be completed. The three pillars represent a comprehensive scheme that will ensure speeding up the process of acquiring permits in all its stages. Daoud Abdul Rahman Al Hajri, Assistant Director General of Dubai Municipality of Engineering and Planning, and Head of the Committee, said that the new strategy reflects the vision of Shaikh Mohammad, aiming to enhance customers’ happiness and save them time and efforts to create a stimulating environment that promotes Dubai’s investment climate. 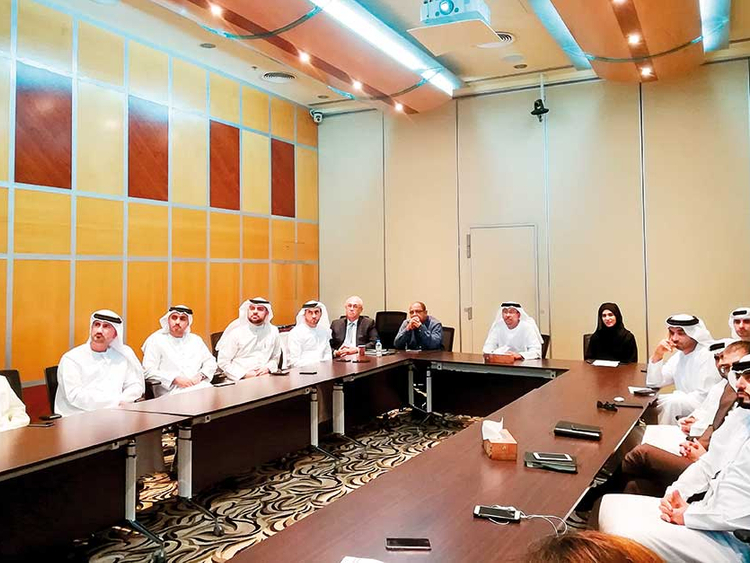 As for the strategy preparation process, Al Hajri noted that since its formation in February 2017, the Committee held several meetings and workshops with the concerned stakeholders to discuss the various details of acquiring building permits. The Committee also formed four teams to conduct detailed researches and studies, where the first team works on developing the new building regulations based on the feedback gathered from customers, contractors and consultancies. The second team’s scope of work includes licensing the consultancy and contracting companies based on standards that will ensure considering the permit’s conditions and requirements, while the third team is concerned with selecting building materials to study its technical specifications and ensure its compliance with the standard specifications then register them. The fourth team will study and analyse the bids submitted by IT companies to develop the intended electronic payment system. The first pillar of the strategy aims to minimise the required time to acquire permits through a new set of integrated steps. the committee has simplified the procedure to just five steps, through which the involved public authorities can conduct all the inspection tasks through unified teams, while all the concerted departments are required to reply to all the submitted applications within three days for each of the five steps if the consultant and the contractor meet all the requirements. This is a record time to complete the permit procedures, which will provide a unique customer-service. In order to provide a set of aligned procedures that will be a pillar for the process of acquiring permits during the next stage, the Committee is currently working on putting a unified building regulation for Dubai to provide a comprehensive guideline for the customers. The Committee will also register the contracting and consulting companies, after the meeting that it held with the key stakeholders to discuss the features of the new strategy and the benefits it provides to the building and construction sector. The strategy focuses on digital and electronic advancement to develop the permitting process though keeping up to date with the smart transformation in all Dubai Government’s entities and departments. Therefore, it will develop a set of smart electronic systems to build a central unified scheme to provide smart services through one window and on the phone, where customers (consultants, contractors, owners and developers) to follow up on the status of their permit request, pay fees and insurance and book appointments. The one stop shop will be linked to Dubai Building Permit System, which will be developed to include the requirements of all the authorities involved in the permitting process in Dubai. Dubai’s Committee for Building Permit Procedures Development was formed earlier this year in order to leverage the level of customer satisfaction though providing high quality services in building permit requests, and insure speedy processing of building permitting procedures, and enhance Dubai’s competitiveness in the related international reports. The Committee includes Dubai Municipality, Roads and Transport Authority, Dubai Electricity and Water Authority, The Department of Economic Development, Dubai Civil Aviation Authority, Directorate General of Civil Defence-Dubai, Investment Corporation of Dubai, Meraas Holding, Etisalat, Du, Dubai International Financial Centre, Dubai Creative Clusters Authority, Ports, and Customs and Free Zone Corporation.